As low as $2 per mailbox with unlimited storage for mailbox only data. Ensure 24/7/365 Availability of your Microsoft Office 365 and Microsoft Exchange Data. Access best-in-class cloud backup and security technologies to achieve always-on availability of your Microsoft Office 365 or on-premise Microsoft Exchange data. Enable constant access and all-round protection for your company’s and your clients’ critical workloads with the industry-leading Office 365 backup solution. 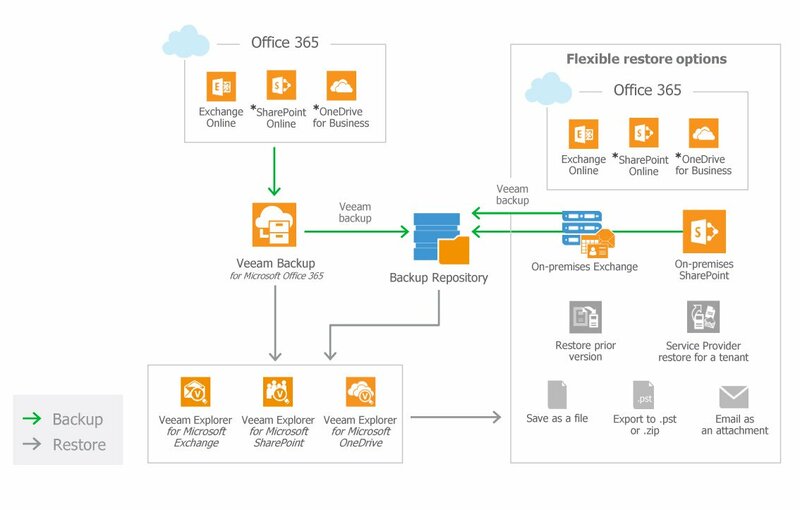 Powered by Always-On Enterprise™ technology by Veeam® and supported by cutting-edge monitoring, troubleshooting, and data restoration tools, phoenixNAP’s Managed Backup for Office 365 meets the highest security and availability standards. Customizable SLAs and retention schedules can meet the needs of any business and allow for more effective cloud backup management, while a wide array of possible configurations enables simple migration processes. Architected to support dynamic workloads and fluctuating requirements, phoenixNAP’s managed Office 365 Backup can be easily implemented to both cloud and on-prem environments. As a major industry innovation, the solution has been recognized with the “Best New Product” award at the Channel Partners Evolution Conference in October, 2018. Contact our experts today to find out how you can set it up and cost-effectively backup your critical mailbox data to the cloud.